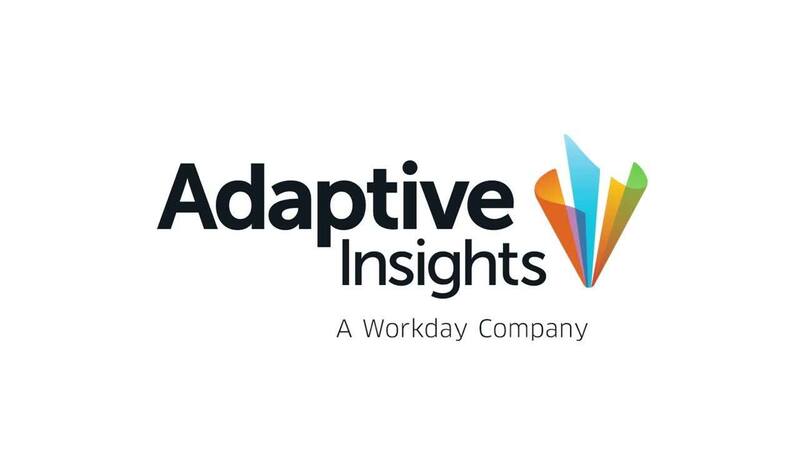 WORKDAY RISING – Adaptive Insights, a Workday company, today announced it is extending its Adaptive Insights Business Planning Cloud with a new strategic workforce planning solution that empowers organizations to develop comprehensive workforce plans that seamlessly integrate with an organization’s larger corporate plan. Combining its flagship ease of use with comprehensive workforce planning capabilities, the purpose-built solution enables deeper collaboration between finance and HR for workforce planning, analysis, and reporting. The solution is being unveiled at Workday Rising in Las Vegas, Oct. 1-4. The Business Planning Cloud’s powerful engine ensures users can model their workforce with virtually no limits—on dimensions, dimension values, or number of scenarios. Self-service reporting and dashboard capabilities enable finance, HR, and business users to analyze real-time, workforce-related data including salary, skills, diversity, locations, and more from enterprise resource planning (ERP), financial management, human capital management (HCM) systems, and other operational systems. Users can also compare multiple driver-based, what-if scenarios and assess the impacts of potential changes to the workforce across the organization. The addition of strategic workforce planning to the Business Planning Cloud continues the company’s commitment to deliver the most comprehensive and collaborative cloud planning platform for all users. Recognized for its ease of use, the Business Planning Cloud enables a single platform to be used across the enterprise by power finance and HR and business users alike, enabling better collaboration on planning. By empowering individual teams to input plans that then roll up into an overall company-wide plan, organizations can create a comprehensive, holistic model that aligns with and reflects strategic business goals. Collaborative planning across finance, HR, and lines of business. Increase visibility and transparency among finance, HR, and department leaders in planning for new hires, promotions, and merit increases. Managers can leverage the self-service capability of the Business Planning Cloud to map hiring strategies with their business plans, while giving finance and HR instant visibility into current and future hiring needs and expenses. Headcount planning. Model hiring, retention, attrition, and restructuring plans by location, department, and project, as well as the associated cost of workforce. For large enterprises, the scale of the Business Planning Cloud enables a single workforce model to be maintained, even if business units have different business and revenue models. Organizational restructuring. Create and compare driver-based, what-if scenarios to choose the optimal organization structure with the right people, in the right role, at the right time, and at the right cost. For example, users can explore M&A, divestiture, or relocation by quickly modeling and analyzing organizational impact as well as drilling down into compensation, benefits, taxes, relocation costs, and more. Skills-based planning. Model skills by location, ramp time, cost of workforce, and more to meet current and long-term business goals. Business users can compare actual versus planned skill and resource capacity to better align with finance and HR. Managers can ensure workforce skills are up to date with learning and development plans as well as support succession plans.